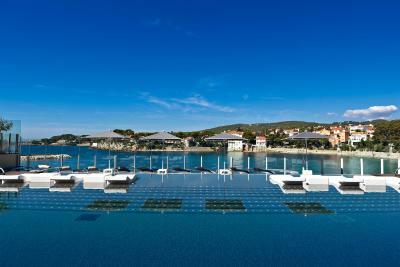 Lock in a great price for Hôtel & Spa Île Rousse Bandol by Thalazur – rated 8.8 by recent guests! Outstanding staff, large room with sea view, excellent food. This is a first class hotel in every way. Beautiful location, Lovely, well trained, friendly staff and excellent facilities and great restaurants. Not cheap but what do you expect from a first class hotel. 2nd time of staying and would still recommend. On a different note Bandol is great, lively and a superb location to stay. Great location, facilities and staff. Super comfy bed. The hotel is in a perfect location to everything in Bandol. It is right on one of the beaches - one that is predominately families with children due to its protected bay. The staff were great and very warm and helpful. The food in the restaurant is exceptional. After visiting Paris this was such a welcome retreat. Just a beautiful hotel with a wonderful staff. The beach restaurant was very nice, casual right off of the water, service great. We ate at the main restaurant for dinner once and the food was delicious , great and attentive service, views wonderful but pricey, as one would expect from this type of hotel. We had our breakfast in our room, the food came in a timely manner and selection very nice. The cost was 20 euros per person (same as the buffet) . We would only order one and shared it and it was plenty. In hindsight I wish I would have negotiated having the buffet included in room rate as you payfor all the extras here. The location of the hotel is superb. Very quiet and the views stunning. We loved sitting on our 5 th floor balcony over the pool and beach watching the sunset. We didn't want to leave. Rooms are amazing, the views are to die for and the staff is the nicest one. We arrived in the middle of the gilets-jaunes protests, so getting there and getting home were fraught. The hotel was an oasis - of calm and tranquillity, of wonderful service and a super dinner in the dining room, followed by a digestif in the bar. The hotel is gorgeous - due to the protests, there weren't many people staying there, so it felt like our own private resort. It was hard to leave. Our room - a suite - had views extending over both Bandol and the sea around the corner, which we could look at while in bed. It was hard to leave, knowing that we faced a difficult journey home. It was lovely. Incredible view and SUPER helpful and friendly staff. Unbeatable quality/price ratio. We lived it and will be back. 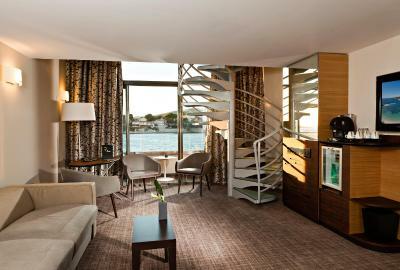 One of our top picks in Bandol.Hotel Ile Rousse Thalazur Bandol is located close to the center of Bandol, offering views of Renécros Bay. 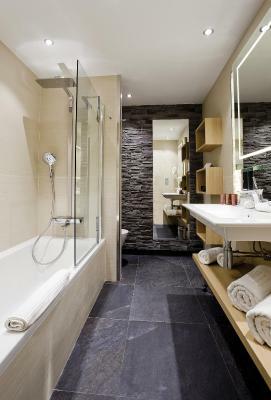 The hotel features free access to the sauna and hammam. You can also enjoy a heated indoor pool at an extra cost. 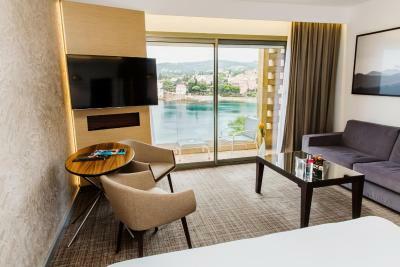 Guest rooms at the Hotel Ile Rousse Thalazur Bandol are air-conditioned. They all feature free WiFi internet access, satellite TV and private bathrooms. 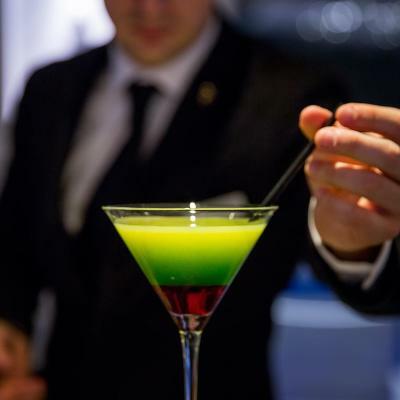 A mini-bar, a coffee machine and tea making facilities are also provided. 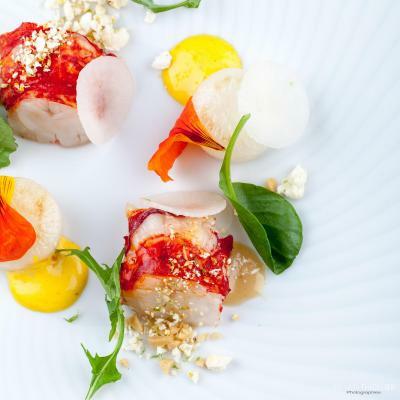 The hotel’s Michelin-starred restaurant, Les Oliviers, serves regional specialties and has a sea view. In summer, meals can be enjoyed by the swimming pool. The spa facilities at Thalasso Therapy and Spa include a hammam, sauna and several body and beauty treatments. A hot tub is available for an additional fee. There is also a fitness center and beach loungers for an additional charge upon prior reservation. Circuit Paul Ricard is just 30 minutes' drive away. 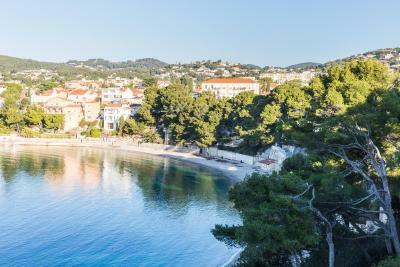 This property also has one of the top-rated locations in Bandol! Guests are happier about it compared to other properties in the area. 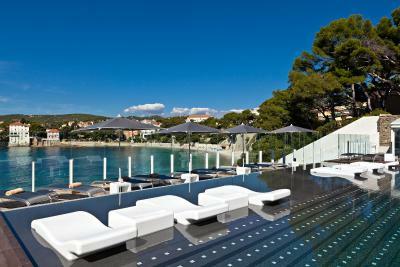 When would you like to stay at Hôtel & Spa Île Rousse Bandol by Thalazur? 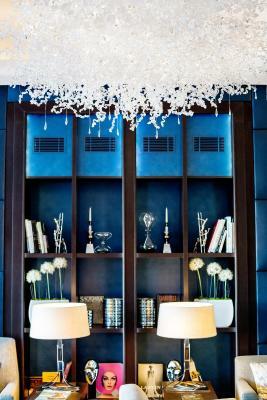 With elegant décor, this air-conditioned room features a private bathroom and a minibar. 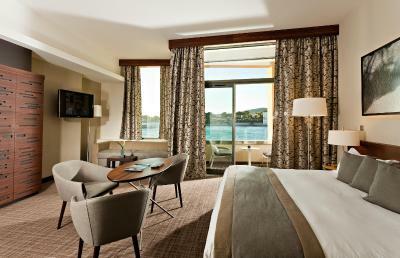 Offering views of the sea or Bandol's port, this air-conditioned room has an elegant décor. It features a private bathroom and a mini-bar. Offering a sea view, this air-conditioned room has an elegant décor. It features a private bathroom and a mini-bar. The spa package includes access to the steam room, hammam, indoor sea water swimming pool, hydrojets and aquabeds. 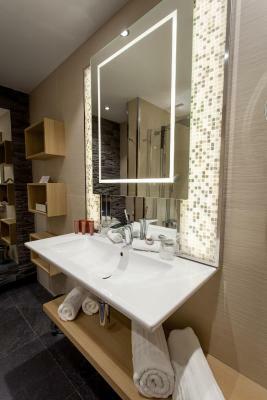 This air-conditioned suite has free Wi-Fi internet access, satellite TV and a private bathroom. 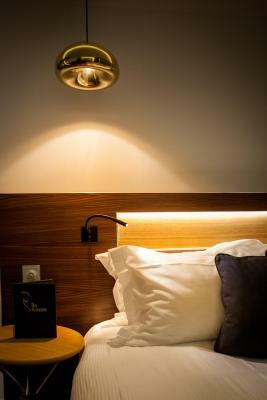 A minibar, a coffee machine and tea making facilities are also provided. This double room has a mini-bar, air conditioning and sea view. The special offer includes a 50-minute modeling session per person. This suite features a balcony, mini-bar and satellite TV. 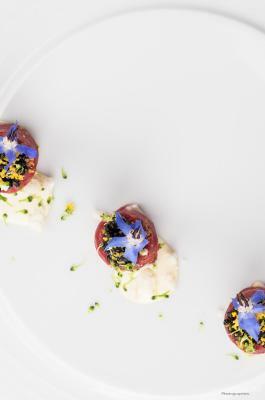 House Rules Hôtel & Spa Île Rousse Bandol by Thalazur takes special requests – add in the next step! Hôtel &amp; Spa Île Rousse Bandol by Thalazur accepts these cards and reserves the right to temporarily hold an amount prior to arrival. Hôtel & Spa Île Rousse Bandol by Thalazur accepts these cards and reserves the right to temporarily hold an amount prior to arrival. Some spa facilities are reserved for adults. Please contact the property for more information. Please note that all rooms were fully renovated in February 2015. Sun loungers are available for EUR 30 per person per day. Please note the sauna and hammam are closed from 7 January until 27 January. Very good location and nice spa and pool overlooking the beach cove. Good setvice and yummy breakfast! The check-in time of 16:00 is far too late and inconvenient. 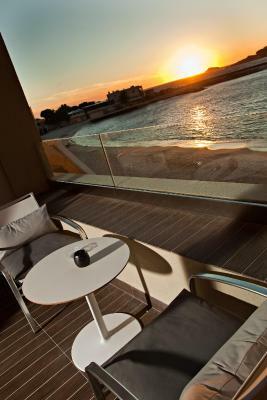 The Hotel is well located near the Bandol town and in a magnificent bay with a lovely beach. Pets are allowed in the terrace restaurant and the waitresses touch them while providing the service without washing their hands. We wouldn't come back after that. We love animals as pets, but not inside restaurants. Marvelous dinner in the inside restaurant. Bar and food prices a little formidable, although the lower-priced set menu proved to be very good indeed. Nice room, very good restaurant. The restaurant and breakdpfasy prices were extremely expensive. The hotel was in most respects excellent. Charging euro 30 for one sun lounger at the beach is egregious overcharging to guests and loses the hotel goodwill. We arrived fairly early and we were not allowed to check in to our room until c3pm which was boring. The restaurant was excellent. Great service and delicious food.